When AlliantRx needed a specialized team of pharmacy marketing experts - without the added payroll expense - they turned to a trusted, collaborative marketing partner: Legacy DNA. In this success story, find out how Legacy DNA helped AlliantRx build the foundation of their brand, develop a strategic marketing plan, design and develop a new company website, communicate value to vendors, and so much more. 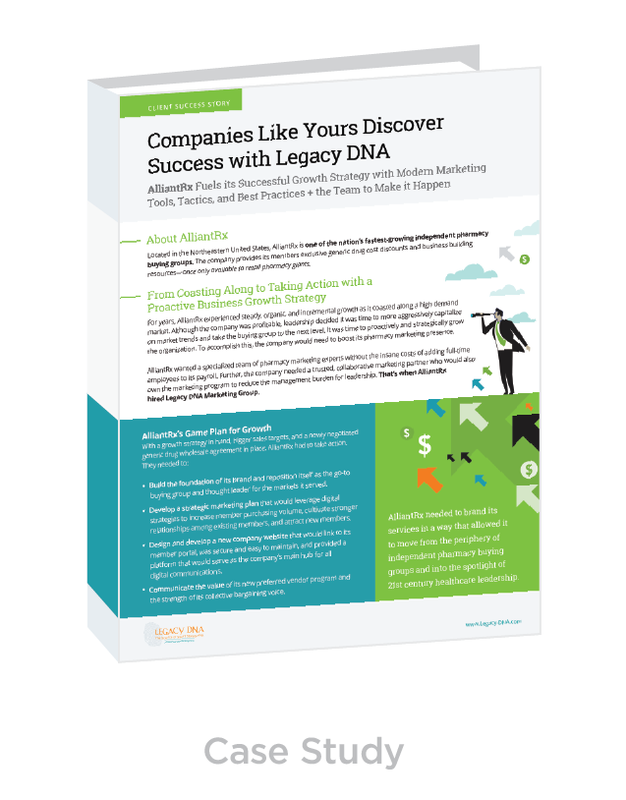 Download the AlliantRx Success Story to read how Legacy DNA helped this company build a proactive business growth strategy!